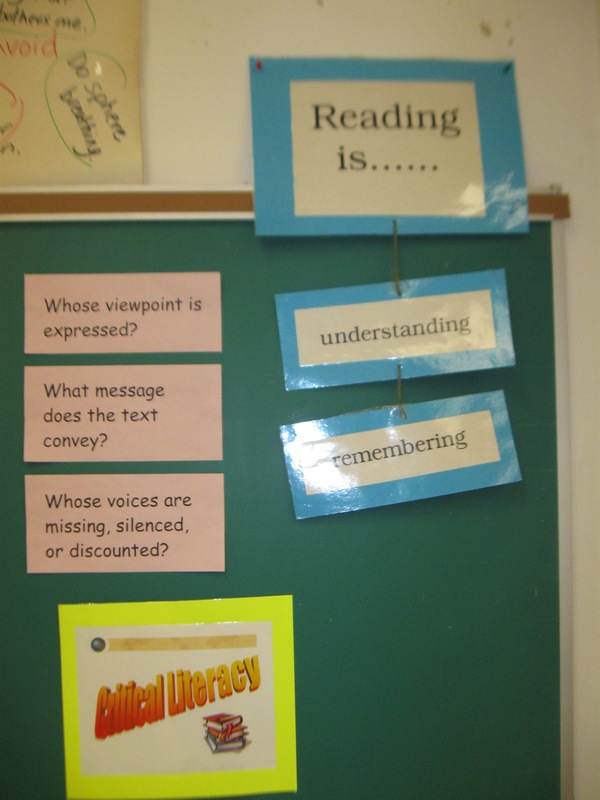 One of the anchor charts in my classroom states that Reading is… Remembering and Understanding. 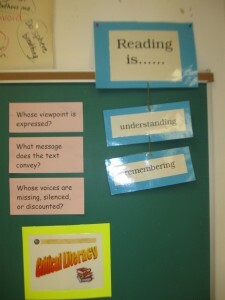 This is what I use to help students understand that good reading is so much more than word decoding. In my classroom I am often faced with trying to help students who have difficulty in their reading comprehension. They lack the ability to recall what they have just read or their recall is very generic and lacks specific details. I have developed a game to help improve a student’s ability to recall the specifics around characters, main events and setting. This learning task is called Who? What? Where? This is a three phase unit. The first step is to model it using a read aloud novel. After each chapter we pause and take a minute to review the characters that were a part of that chapter, what were the main events that occurred in that chapter and finally where did that part of the story take place. I do this for about two or three chapters into the novel. From there we move to a graphic organizer where they now have to answer questions I have created about a chapter after it has been finished. 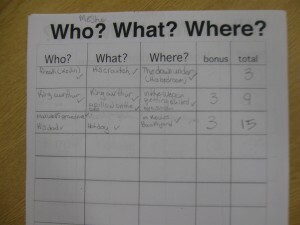 The questions are designed to elicit one or two word answers and thus can fit easily in the boxes on the page. The other purpose for the short answer is to focus on comprehension and not spelling or sentence structure. After each chapter I ask three questions, one of each type. As the chapters progress, the questions become more and more specific and thus a deeper recall gradually begins to occur with my students. The students earn points based on their ability to recall accurate information. For most students this is a motivator by itself. From here they now have to read their novel, decide on a way to share their understanding of the story (that best fits their learning style) with their classmates and teacher. 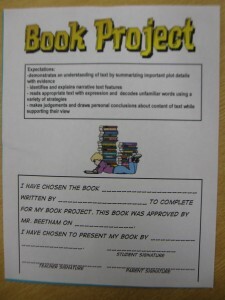 It is here during this summative task I find out what gains have been made by students in their reading comprehension as well as finding further gaps that need to be addressed in the upcoming reading lessons. A natural progression that occurs is also the move away from just basic recall and the move to more critical literacy questioning and answering. But as many students have taught me, they need to have well grounded foundation skills prior to moving into higher level thinking skills.